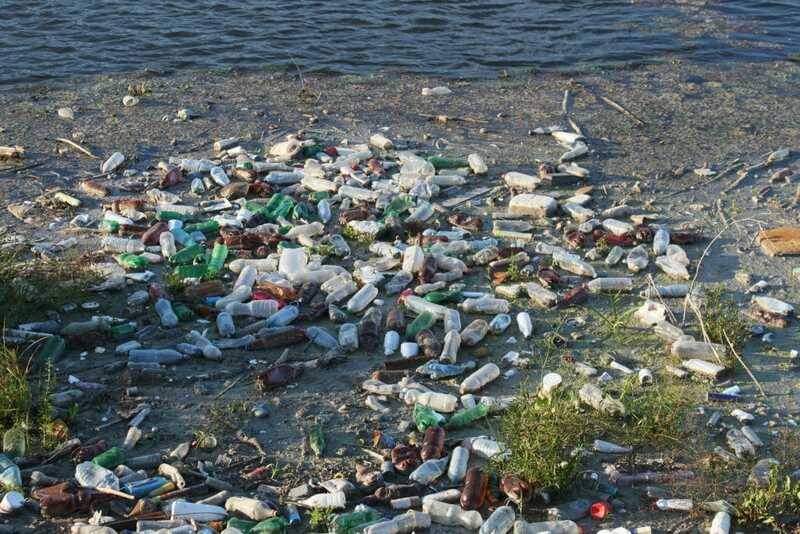 With the amount of water bottle waste and the toxicity involved, single use bottles have become a serious issue. Recent studies have shown that, on average, Americans only recycle 23% of the plastic bottles when they are finished. This leads to an increase in pollution and landfill waste. What is the best water bottle? Obviously, it needs to be reusable. Plastic waste is one of the leading causes of land and water pollution. Many of the single use water bottles contain a chemical known as Bisphenol A, better known as BPA. This chemical has connections to cases of hormonal issues, cancer and many other health risks. There is an economic impact, in addition to the environmental and health impacts. With the amount bottle bought, we are producing over 1 billion dollars in wasted plastic. You can avoid and reduce all of these issues by switching to reusable water bottles. Reusable water bottles can be found in numerous shapes, sizes, materials, and can be used for just about any beverage. Some even have some bonuses like automatic filtering or the ability to keep your beverage cold. These bottles are completely safe as they are BPA free, as well as durable. Using reusable water bottles reduces our overall plastic waste because these bottles can last a very long time. 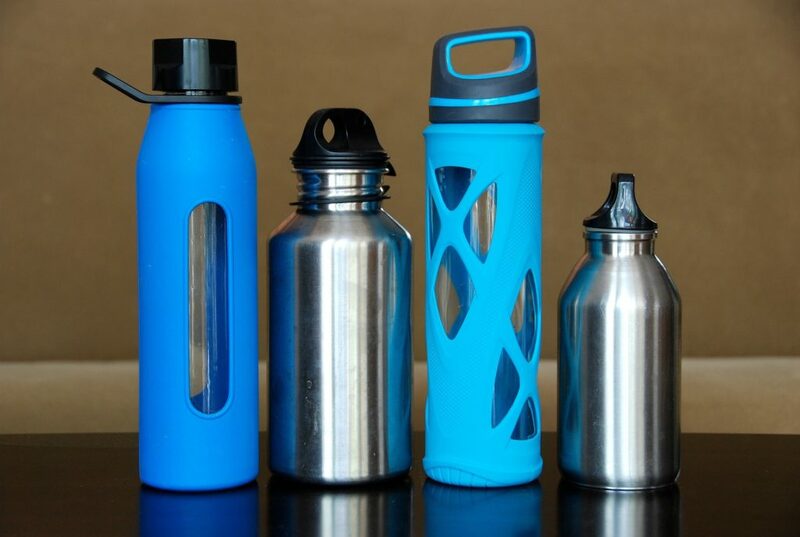 Here, you will find all of the best water bottles to use for your money. While reusing water bottles is a great way to reduce the amount of waste, those bottle still probably contain at least one harmful chemical. So it is better to just not buy them at all. In no specific order, here are some of the most popular and best water bottles on the market right now. All of these water bottles are made from either stainless steel or BPA-free plastic. Nalgene Wide Mouth Everyday- Starting off with possibly the original (in the market) reusable water bottle. Nalgene is one of the best brands of BPA-free, plastic water bottles you can find. Nalgene has been making reusable water bottles since the late 1990s. The most popular is the wide mouth water bottle because of the capacity and durability. This bottle includes measurement markers on the side for convenience. This brand is very popular among campers, backpackers, and hikers. However, Nalgene also makes water bottles of all shapes, sizes and uses, including fitness bottles. Surely you can find the best water bottle to fit your needs from Nalgene. Most are relatively cheap, only $10 on Amazon, making it probably the best 32 oz water bottle you can get. Camelbak Eddy Bottle-﻿﻿﻿ Camelbak is another brand that is very popular among outdoorsmen, especially Boy Scouts. However, it is also very useful for the gym. Camelbak is another brand that sells many different kinds of bottles but this is their classic bottle. Most popular size is 25 fluid ounces. It is leak and spill proof. It has a flip-up “straw” with a Big Bite valve, meaning all you have to do is bite and sip. It also comes in almost any color you want. The price on Amazon is $15. Klean Kanteen Stainless Steel Bottle-﻿﻿﻿﻿ Possibly the best stainless steel bottle for people who want to be plastic free, klean kanteen. These bottles have no lining which means they have no chance of leaching anything bad into your beverage. The lining in some steel bottles can wear down or even melt if you put extremely hot liquid into the bottle. With this brand, you will not have to worry about that. In addition, they are completely plastic free. Even the lids contain stainless steel, bamboo, and silicone. Coming in various sizes, the most standard 18 oz bottle sells for around $20 on Amazon. Brita Sport Water Filter Bottle- While tap water is basically the same as bottled water, some tap water can have a funky taste to it. Plus, if you are still worried about the quality of your tap water or any water or instance, this bottle might be the best water bottle choice for you. Brita made a name for themselves by offering a filter that fits right on your kitchen sink tap, filtering any contaminants that may be in the water. They use their same technology in this water bottle. Whether you fill up your bottle from the kitchen sink or from a water jug, this bottle will filter it before you drink it. You can find it on sale for $7.39 right now. Platypus Push-Pull Cap Soft Bottle-﻿﻿﻿﻿﻿﻿﻿ Since most bottles can be cumbersome, even when empty, the brand Platypus came up with a solution. This 17 oz bottle acts more like a water bladder than a bottle. In fact, it is 80% less weight and bulk than a hard bottle. 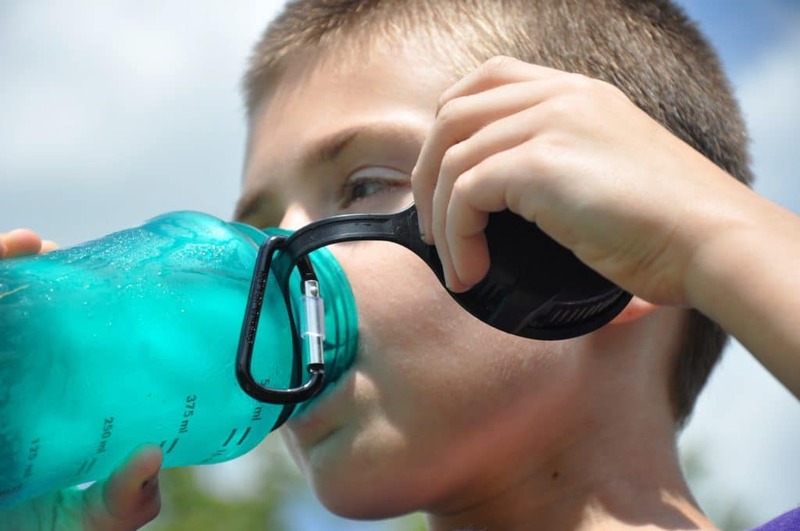 It is also compatible with their brand Platy lids or drink tubes (which are like the tubes from the camelbak backpacks from back in the day). Also, they’re super cheap, $7.95 + shipping. This would be the best water bottle if you want to travel light. Polar Bottle Insulated Water Bottle- As for keeping the heat out of the cold, Polar Bottle is the one for you. It features a double wall construction, with a thermal barrier which means it keeps your cold water cold in the summer sun. This bottle also has a wide mouth which allows for the addition of ice cubes, with a cap and pull-up nozzle. Also possibly one of the best non-sweat water bottles, which means you will not get any annoying condensation all over your bottle. Available in a bunch of colors and designs, it is selling for $11. Aquablend Premium Fruit Infused Water Bottle-This is the best water bottle, for those of you who feel that water is just too mainstream. This bottle has the addition of a column in the middle of the bottle that you can put chunks of whatever fruit you want to flavor up your water. While you can just chuck a bunch of fruit into a water bottle, there would be no way to stop the fruit from flowing your way, along with the water. Infusers are pretty cool, but eating fruit is just as healthy for you. You can find this bottle on sale for $13.99. Sigg Lifestyle Water Bottle- These bottles are made from aluminum which means they weigh slightly less than the stainless steel bottles while offering the same advantages. When completely filled, they weigh in at around 1 ½ pounds. Though this bottle does contain a plastic liner, it is BPA free and no BPA migrates were ever found in the water from tests. They also feature an “Active Top” which prevents any accidental leaking or spilling of contents. These bottles are a bit more expensive, costing you around $33, but it is a quality bottle. Camelbak Chute Stainless Steel Vacuum Insulated Bottle- Camelbak is back, featuring one of the best vacuum insulated bottles, as well as one of the best travel water bottles on the market. This bottle is pretty big, holding 1.2 litres of whatever you want. It keeps its contents warm for six hours and anything you need cold for up to 24 hours. While, obviously, it is going to be heavy, it is ideal for backpacking or camping. This bottle is going to be a little more on the expensive side ($28), but you are really getting your money's worth. Blender Bottle Sport Mixer- If you are a big workout buff, this might be the best water bottle for you. This is the only water bottle that is also a portable mixer. The wire whisk ball, that the bottle includes inside, mixes protein shakes, smoothies, and even yogurt. This bottle is great if you are on a tight schedule and do not have time to pre-mix a workout drink. This bottle is available in many different colors and can hold up to 28 ounces. You can find it for sale at $7.99 on Amazon. If you want an undeniably clean bottle that is does not contain any chemicals of any kind, check the many glass water bottles that are available. Almost every, if not all reusable plastic and steel water bottles do not have any chemicals or toxins. Though some people do not want any plastic consumption at all. Glass bottles, while a bit more expensive, offer a great alternative to metal or plastic. They may just be the best water bottle for you. Lifefactory Glass Bottle- This bottle comes with a protective silicone sleeve, flip cap, and rotating handle. While the glass is extremely durable, the sleeve is there to protect it further. The cap is made with BPA/BPS free plastic. It also features a wider mouth, which can easily fit ice cubes to keep your water cold. The silicone sleeve also offers protection from condensation from cold water. These bottles, like many others, are available in different colors and will set you back about $20. Aquasana Glass Water Bottle- Holding about 18 ounces, these come in packs of 6 giving you the option to add different liquids into each or fill them with filtered water so you always have it available if your are in a hurry. The glass is thick and high quality which offers protection from accidental damage. About $32 will get you this 6 pack of glass water bottles which averages out to just over $5 a bottle. The Original Little bkr Water Bottle- Here is the best water bottle, if you want to be 100% in style and trendy. This cult classic bottle isn’t the top choice among A-list celebrities for nothing. This bottle features a 500 mL capacity with a no leak cap and a silicone sleeve. It is dishwasher safe and is the perfect size for most cup holders. The brand, bkr, also supports early detection cancer research, clean water initiatives, and other organizations. Every purchase helps go towards those charities and more. Available in different colors and sizes, feeling like a celebrity will only cost you 35 bucks. If any of those are not up to your speed and you want something a bit more techy and involved, check this out. The Hidrate Spark Smart Water Bottle. This high end bottle, is the smartest water bottle you will ever find. It works alongside a smartphone app and includes a sensor inside the bottle to track how much you drink. The bottle will glow and the app sends reminders to keep drinking towards a daily goal. Since the average amount of water you should be drinking every day is 2.5 litres, this bottle can help you stay on track. And of course, it is BPA/BPS and phthalate free. However, you can only buy it through the Hidratespark website. This is by far the most expensive water bottle, available for around $55, but for all that it includes, it may just be worth it. If you want to be on the cutting edge of technology, this is the best water bottle for you.